Giacomo Manzoni (1932) began his studies in Messina with Gino Contilli. He later studied at the Milan Conservatory and graduated in Modern Languages from the Bocconi University. He then became editor of musical magazines and in the 1960s was music critic for ‘L’Unità’. He taught at the conservatories of Bologna and Milan from 1962 and 1991 and subsequently at the Music School in Fiesole from 1988 to 2003. He has given seminars and held courses in Granada, Buenos Aires, San Marino, Tokyo, Beijing, Vancouver, Paris, Santiago and Pescara. Maderna, Markowski, Pollini, Abbado, Muti, Bour, Bertini, Svoboda, and Bob Wilson are among the musicians who have performed his works. In 1986 his composition Dedica won the ‘Premio Abbiati’ awarded by critics to the most innovative composition in Italy. He was awarded the ‘Omaggio a M. Mila’ prize for teaching in 1991, the Leone D’Oro for his career in 2007 during the Biennale della Musica di Venezia, and the Principe Gesualdo prize in 2013 for music. In 2016 Daniele Lombardi wrote a book about him ‘Pensare attraverso il suono’ (‘Thinking through sound’), published by Mudima, Milan. He has composed works for the theatre; La Sentenza (1960), Atomtod (1964), both based on a text of E. Jona, Per M. Robespierre (1974) with texts from Robespierre and others, and Dr Faustus (1988) from Thomas Mann’s novel. His compositions for choir and orchestra include Ombre (with phonetic text, 1968), dedicated to the memory of Che Guevara, Parole da Beckett (1971), Hölderlin (some of his poems) (1972), Il deserto cresce (1993) based on a text from Nietzsche. Other compositions include Masse, Homage to E. Varèse, for piano and orchestra (1977), Dedica, for flute, bass and orchestra, (1986) with text from B. Maderna, Moi, Antonin A. (1997), for two voices and orchestra, with text by Artaud, Più Mosso (2014), for two pianos and strings. His works for orchestra include Studio no. 2 (1963), ‘Insiemi’ (1967), Ode (1982), Scene sinfoniche per il Dr. Faustus (1984), Sembianti (2003), Mercurio transita davanti al sole (2006), Progetto Eliogabalo (2009), Studio 2012 among others. Music for chamber orchestra include 10 Versi di E. Dickinson (1988), for voice and 16 instruments, Trame d’ombre, (1988) for two voices, choir and instrumental group, with text from Zeami, Oltre la soglia (2000), for voice and quartet, with text from various female authors, 6 canti dal Kokin Shū 2007, for female voice, electronic processors and midi keyboard, with ancient Japannese texts, Quarto rivolto, (2011) for string sextet, Cygnus Quintet (2013), Thanatopsis (2014), for baritone and instruments, with text from W. Cullen Bryand, Le arance non cadono dal cielo (2015) with different texts, for male chorus, violin and 2 percussion instruments, and other works for chamber orchestra, solo singers, chorus and electronic instruments. 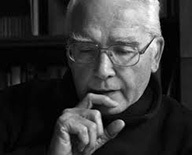 His published works include Schönberg – l’uomo, l’opera, i testi musicali (Milan 1975, reprinted in 1997), Scritti, edited by C. Tempo (Firenze 1991). Traduzione e Utopia, edited by A. De Lisa (Milan 1994), Écrits, edited by L. Feneyrou (Paris 2006), Parole per musica (Palermo 2007), Musica e progetto civile, edited by R. Pozzi (Milano 2009). He has also contributed to Italian and foreign language publications and has translated texts from Arnold Schönberg and W. Adorno.